Debating #Michaela Last Saturday: Time for a “7 Up” anyone? I was there in the flesh on the front row of the #Michaela debates at London’s City Hall last Saturday. I loved it. It was great fun – a very polite interchange of views that made for much more engaging CPD than you’d normally receive by a series of PPT presentations on just one topic with perhaps 2 minutes for questions afterwards. It was a shame to see that some who were not in attendance got huffy on Twitter because either they felt #Michaela as an event was dominating their Twitter feed, or perhaps they were just feeling left out, or miffed that #Michaela as a school was getting so much coverage. It’s true that #Michaela is a controversial school, have a look at their website at www.mcsbrent.co.uk to find out more. They do seem to do stuff that has connotations of the Charter Schools in America, which we smile wide-eyed at and laugh and snigger at when we watch their YouTube clips online. The rumours, which may or may not be true, include children being made to walk corridors in absolute silence between lessons. I don’t know. Frankly, I don’t have to worry about it, because 1) I don’t teach there, and 2) I don’t have a child attending there. Perhaps I should have a moral conscience about it or something, as it does affect the wider educational eco-system we live in. And who knows, some future extremist Minister for Education may use #Michaela as a precedent for insisting ALL schools in the UK may follow suit. That’d never happen though, would it? Would it? The double clap made me laugh, which headmistress Katherine Birbalsingh playfully got us to do at the end of the day. We saw a brief video clip of students at their school doing it. Can’t hurt, I guess. Katherine Birbalsingh was a superlative orator, and I tweeted so. Her entire team from #Michaela were a highly polished set of debaters. I wondered if they had rehearsed their gig together beforehand to give each other tips on where to put the intonation on particular words in their delivery. Katherine was very charismatic, a great leader no doubt. Her team of teachers all quite young and idealistic perhaps? If so, then it’d be understandable if what some teachers say might be true: is #Michaela a bit of a cultic school environment? I don’t know if it’s true that they only have year 7 and 8 students at the moment, due to having started from scratch with admissions right from the get go only the other year. If that’s true, I think we need a BBC or Channel 4 documentary to chart the progress of this scholastic social experiment, a bit in the style of the “7 up” type series done years ago: “Show me the boy of 7 and I will show you the man”. I wonder if you compared students who went to #Michaela and a ‘normal’ school now, and then in 7 years, 14, 21 and 28 years from now, whether there would be any interesting trends that emerge in destination data and progress made through life. What would their choices and limitations in life be? Career wise and otherwise? Would #Michaela students be more or less successful, and how? Would they be limited in some ways? Would they tend to end up in highly structured environments? How many would be entrepreneurs and innovators? Would they be more or less rigid in their expectations of others around them once in the real world? How would they cope with lack of structure and people who don’t conform to society’s rules? I think for me personally, my biggest take-home from the day was that debates with starkly opposing viewpoints represented by the debating party are an exceptionally valuable form of CPD. It mattered not whether the views represented were false dichotomies. The end result was that you heard something talked about from a variety of points of view, which provided an enriching and highly nuanced package of delivery. Most of the debates left you with a middle-ground feeling (PBL vs direct instruction/drilling, no-excuses discipline vs a more reasonable approach, personalised learning vs classes in sets receiving direct instruction without differentiation, schools doing whatever it takes and becoming social workers vs not getting involved much at all outside the classroom and putting teacher well-being first through prioritisation). Of course the last debate was hilarious – Jonathan Simons, a non-teacher, arguing in favour of performance related pay to a room full of teachers – even he changed his position at the end! The middle-ground debates though covered most of the angles. If they had been turned into transcripts with rebuttals and audience Q&A too, it would probably read like an excellent exegesis. No turn really left unturned and all angles critiqued. I think you could compare it to a form of Socratic dialogue, where the audience takes the less vocal role of Socrates. The Socratic line of questioning seems to follow its own implicit and tacit course. The conclusion is, everything having been heard, there is rarely any black and white. My own feeling on leaving was that as a unique environment and its own system, #Michaela probably works. As do any other systems with their own rules and boundaries. For a time. It’s where the actors within the system then have to leave and enter other systems that interests me. #Michaela wasn’t promoted or marketed much on the day by the way, not explicitly. Just in case you wondered. I felt it was more about the discussion of the issues at hand that were the focus, and not the school itself. It was an entertaining day. I’d recommend going if there is another opportunity like that. The lurching, mechanical behemoth, staggered across the horizon. Steam escaped from its flapping, copper gills around its molten, terraced neck, more fervently with the heavy creaking of every lift of every step. 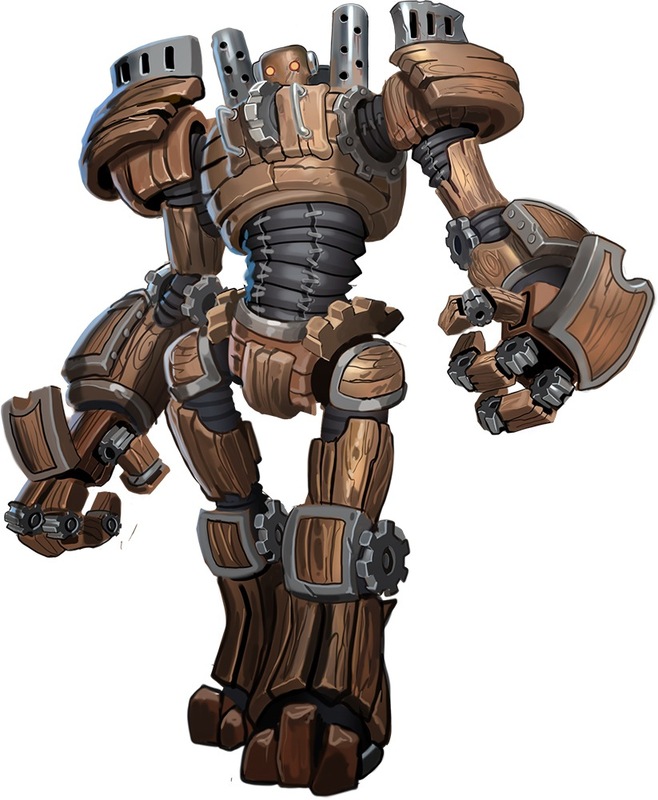 The machine was purposeful, driven by an inner will and unflinching in its march. Its fists clenched, powering forward. Its iron flanks resounded thunderously as the weight of its gilded limbs pushed through and across the scarlet drenched, crepuscular landscape. In the foreground, wall eyed and paled faced, the onlookers gazed on as the monstrous beast seemed to engorge itself on everything it came into bullish contact with, obliterating any vestiges of natural beauty it stumbled and trampled upon. Helpless, hopeless and hapless, they watched as everything they held sacred disappeared before their watering eyes. 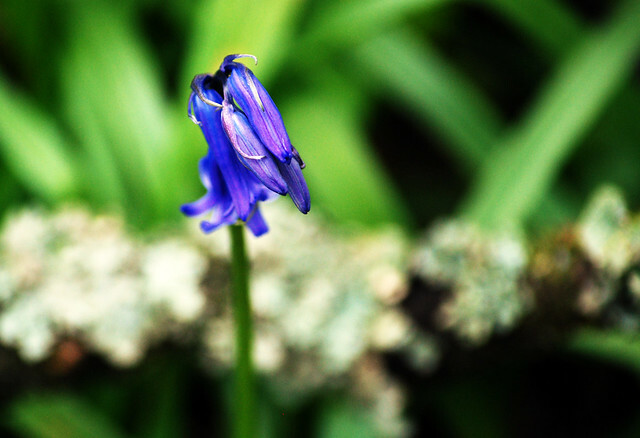 The last surviving bluebell sat prettily, ensconced in a clump of moist grass, growing dewy in the twilight. Its strong, bold, emerald green stem shone, and its up-shooting leaves shivered and danced tenderly as the evening brought a chill. Its delicate, lilac head dropped in content slumber, unconscious of its natural beauty, perfectly at home and secure by the edge of the path before the wood. A solitary and minuscule spider began to weave its gossamer thread betwixt and between the trembling petals, and a ray of sienna sunset bounced upon the web. The gargantuan, monstrous beast raised its knee in its next inevitable stride forward. It lowered its iron hoof. The last bluebell was crushed. (Of schools as we know them). Studio Schools: Experience as a teacher, student or parent of a student at one? So today I heard for the first time about something called Studio Schools – there are currently 37 of them in the UK. It’s the first time I’ve ever heard the term. I’d heard of Free Schools and PRUs, Academies and Community Schools… but not Studio Schools. As I work in FE they do seem an interesting idea: basically a 14-19 provision of a free school nature, combining the National Curriculum with vocational training and work experience, commonly in a 9am to 5pm working environment. According to wikipedia a criticism of them is that 14 is considered too young for vocational training and the world of work. Well, I realise that the learning leaving age is now 18, but my mum left school in the 1950s at the age of 14 and she had quite a strong work ethic. I think she preferred work to school and appreciated feeling valued through remuneration. I’m not sure that the 14-19 year olds who attend Studio Schools get any financial benefits from their work experiences, but I’d be interested to hear more. I wonder also what the long term destination data says about employability versus long term unemployment of students who have in the past attended Studio Schools? Also in comparison to achievement data of course. A full list of Studio Schools is available on the DfE website in the complete list of UK schools, with addresses, school type information, and telephone numbers. I’ve also copy pasted a list here. Anyone out there with experiences of sending a child to be a student there? Or someone who has taught there perhaps? Please share your experiences and thoughts, pros and cons below in comments. What would a lifelong digital passport for literacy record? This blog post comes as an extension to my last blog – a plea for a lifelong digital passport for literacy for all UK citizens, probably to be developed much in the same spirit and manner as the UK NHS online medical records sharing system. The overarching need I felt rested on not only the recognition of the importance of the exchange of information on transition between primary and secondary schools, but at levels of transition beyond that too, especially, due to my current role in FE, the need to perhaps gain more continuity in language development for post 16 year olds. They come to us an unknown entity, we have little time with them, and have to catch up fast. The same is true if you are a work-based learning tutor, or a tutor in a government funded training centre. You are expected to carry out initial assessments, diagnostics, create a learning plan with superficial SMART targets (“student should be able to write 5 sentences demonstrating correct use of possessive apostrophes within 3 weeks” – I’ve worked in training centres attached to job centres that do that type of stuff), teach them for a bit, bung them in an assessment, and prove that they have made progress. I’m not sure if that’s very convincing really – are you? Surely it would be all more deep and meaningful if the learner was the focus embedded in their past line of progress too? Surely they shouldn’t needlessly repeat work they already know? Surely they should have an individual literacy history that comes with them beyond a hit and miss collection of crumpled exam certificates? The digital passport could contain reference to the content of previous schemes of work and methods students have been subjected to, what assessments they have undertaken and results of them with targets that were then set for students to try to reach, along with difficulties they encountered in reaching them and support strategies offered to help. Records of such progress and “liaison” and any subsequent decisions made could be recorded. Do primaries still have ‘language consultants’? Can we add adequate circular liaison through to post 16 education as well again here please? Why does the student suddenly become detached from their learning history when they get to FE to repeat their GCSE English that they didn’t get grade C in yet, or when they get to the job centre and, after being classed as long term unemployed after 6 months, have to go to do Functional Skills English and employability courses at the government funded training centre next door? Can we add that Further, continuing and Higher Education must ensure that programmes of work are progressive too? Can we have somewhere to record the pupil’s development that isn’t just a short lived data repository on excel spreadsheets produced internally or by individual teachers? Can we ensure that these records are maintained and passed on for continual progress and development to be made into adulthood? Again, we shouldn’t make a rod for our own backs in a workload sense, but can we achieve this so that it is viable and means something that remains with the student in an effective way? Yes, stretch and challenge. But if students come to us with no history as post 16 learners, how can we challenge them and help them improve? Really? We know nothing! We spend a hurried few months pushing them through a curriculum of GCSE English that was designed to be delivered over two years in school, and are expected to get to know them in that time. We need to know so much more than just what GCSE grades they got at school. We do now have accountability measures of course, so are obliged to report back on individual learners to show they have progressed in leaps and bounds of +1s and +2s etc. But I’d strongly argue that demonstrating improvement at the individual learner level by a +1 or +2 is probably neither necessary nor sufficient. Let’s get back to focusing on the learner, in all their depth and glory. Give them a history, don’t just kill it at 16. Cox (1989) English for ages 5 to 16. © Crown copyright material is reproduced with the permission of the Controller of HMSO and the Queen’s Printer for Scotland. A lifelong digital literacy passport for students? To go with them from edu place to place? This is something we are lacking and need to do more of – always. Between home and nursery. Between nursery and reception class. Between infant and junior schools. Between primaries and secondaries. And what about between secondaries and FE? And FE and HE? And beyond??? We really would benefit from applying this idea between feeder schools in our FE catchment area in order to inform ourselves better about the students we are receiving. There seems to be a lot of emphasis placed on the transition stage between primary and secondary education, but then students are left floundering in the jump to tertiary. There is little in-depth data on the students entering FE other than basics and initial assessment / diagnostics obtained at enrolment and their obvious previous exam results. Now, if a student had a digital literacy passport that could be updated and accessed / shared (at the permission of the student – or parent/guardian of the student – enrolling) by any new educational establishment they joined, perhaps life would be easier for all of us, and differentiation and planning of the learner journey more tailored. Consider the initial assessments and diagnostics and continual assessment we carry out – as soon as a student leaves, this data is lost. Of course data protection is an issue, but similarly to the NHS patient record sharing system, students could also opt out if they requested. There would, however, be greater value in opting in; the student would be more ‘known’ by teachers immediately. Teachers would go in to classes less blind. Suddenly, a Thatcherite inspired idea is looking good… all these years later? Could the above recommendation now be brought into reality more effectively in the digital age? What are the pros and cons? What do you say, Nicky Morgan? Is it a goer?? Do you or any of your colleagues still advocate the use of learning styles theory or tools in the classroom? I got the chance to explain my views against learning styles in a staff meeting this morning. I pleaded that staff in our college directorate not use learning style quizzes with students at the beginning of the next academic year, basically because it causes a fundamental problem and allows students to think and make statements like: “Well I’m kinaesthetic so I can’t do English”. Obviously it’s not a great start to the year when that happens. I’ve been naïve in the past to think that the anti learning styles rhetoric was too strong on Twitter, but now I just feel as though the existence of learning styles theory has created far more trouble than it’s worth, right there in my classroom. Yes, learners might prefer to watch TV or be out playing football, but it doesn’t mean they can’t learn by reading and writing. In fact if we suggest the opposite we have failed them. If any of you are interested in finding out more behind these thoughts, please see the links below. If anyone has any other links to blog pieces etc debating the use of learning styles, please share in comments below. This is a video by David Willingham, who argues against learning styles based on evidence provided by the field of neuroscience. The main crux of the argument being that we don’t actually learn via the “styles” suggested at all. We may have preferences about how we receive information and knowledge, but that is detached from how we actually learn. New behaviour Tsar, Tom Bennett, here argues against VAK. He hates it. Tom Bennett on an anti-VAK spleen vent again. Tom Bennett raging against VAK. The authors of this research paper conclude that at present, there is no adequate evidence base to justify incorporating learning styles assessments into general educational practice. Thus, limited education resources would better be devoted to adopting other educational practices that have a strong evidence base, of which there are an increasing number. Paper 3) http://www.nature.com/nrn/journal/v15/n12/full/nrn3817.html – you will need journal paper access to this one, but it’s about the myths of neuroscience and education, by Paul A Howard Jones. “Sometimes my eyes go funny” – How to help dyslexics? What do the following famous people have in common? Winston Churchill, Richard Branson, Whoopi Goldberg, Tom Cruise, John Lennon, Jack Nicholson, Jim Carey, JFK, Kiera Knightly and Albert Einstein. They all suffer/ed from dyslexia to some degree or other, apparently. By the same token then, they may also at some point have felt the same feelings of frustration, embarrassment, anxiety, stupidity, anger, upset, and generally feeling dumber than everyone else around them. I learned about this and other dyslexia related matters on an internal CPD course on dyslexia at my college this week. The course was delivered from a personal viewpoint by a member of staff, Caroline Fernandez, who has grown up with dyslexia, but who has also learned to overcome it, work around it, through it and over it, and who now helps others in the same boat. So what do we mean by dyslexia? Of course there can be a plethora of symptoms. I liked one quote provided by a dyslexic learner, who said: “Sometimes my eyes go funny and I can’t see them [the words] – it looks like they are going wavy and they get mixed up and small words look like black things with white in between.” That makes me feel seasick just by reading it, never mind experiencing it. During the training session we were shown images of how may text appear to dyslexics though, and they weren’t all the same. Like all learning difficulties, if we use a label too glibly we generalise, forget the diversity in the population the label applies to, and don’t stop to observe the subtle nuances of the individuals we are relating to. Therein lays a crucial danger. If we do that and get blasé there’s no wonder learners demonstrate negative behaviours; it’s like we just aren’t seeing or hearing them. It would be tantamount to ignoring them. So what do we do? “One thing I have learnt whilst researching is that when the learner becomes at ease with their dyslexia, the process of learning becomes much calmer and less stressful. Learning becomes more natural and even fun from time to time. No matter the age of the learner, dyslexia is stressful, so learning to understand your own dyslexia is a vital component for allowing the learning process to take place. Knowing what works and what doesn’t is where you need to start. The severity of their dyslexia will influence how much support the learner will need to complete the work set. This needs to be established from the beginning of the year so the support can be put into place. Communication is the key to understanding each learner’s dyslexia. You need to sit down with each learner individually and listen to how they feel and what they experience when they are trying to do their work, either reading or writing. This will help you understand what has and hasn’t worked in the past. Involving the learner with their own education can make a real difference to what they understand. Explore their typical difficulties (many of which will be common with other learners), promoting self-confidence by giving learners the experience of success and positive feedback. Using the multisensory lesson technique (visual, auditory, kinaesthetic) can be a useful tool when planning lessons. Yes, it is difficult for the teaching staff to work out how to fit all this in but it is the only way to produce an inclusive learning environment for their learner. Use approaches that encourage self-directed and independent learning so that learners feel in control of their learning. A dyslexic learner must be shown …. The big picture and then how the details fit into it. From the easy to the more difficult. From the simple to the complex. From the concrete to the abstract. From the visual to the auditory. Always showing them how new information fits in with what they have learned. With much review and practice at every step of the way. If the learner can comprehend what is being asked of them then they can generally complete the task set. Ensuring they understand each word and its meaning is vital to completing each assignment. If learners do not understand the meaning of each word in the set task then the end result may vary as to what has been asked of them. If the learner needs those words breaking down this needs to done when the task is set, and not half way through the assignment. Get the learner to repeat the task back to you and tell you what they understand the task to be, this way you will know they are going to give you the answer you need. This extract from the ‘Teachers Strategies for Dyslexics’ provides some great techniques to help learners get from A to B. “1. Use a tape recorder- Many problems with materials are related to reading disabilities. The tape recorder often is an excellent aid in overcoming this problem. Directions, stories, and specific lessons can be recorded on tape. The student can replay the tape to clarify understanding of directions or concepts. Also, to improve reading skills, the student can read the printed words silently as they are presented on tape. Clarify or simplify written directions – Some directions are written in paragraph form and contain many units of information. These can be overwhelming to some students. The teacher can help by underlining or highlighting the significant parts of the directions. Rewriting the directions is often helpful. For example: Original directions: This exercise will show how well you can locate conjunctions. Read each sentence. Look for the conjunctions. When you locate a conjunction, find it in the list of conjunctions under each sentence. Then circle the number of your answer in the answer column. Directions rewritten and simplified: Read each sentence and circle all conjunctions. Present a small amount of work – The teacher can tear pages from workbooks and materials to present small assignments to students who are anxious about the amount of work to be done. This technique prevents students from examining an entire workbook, text, or material and becoming discouraged by the amount of work. Also, the teacher can reduce the amount of work when it appears redundant. For example, the teacher can request the student to complete only odd-numbered problems or items with stars by them, or can provide responses to several items and ask the student to complete the rest. Finally, the teacher can divide a worksheet into sections and instruct the student to do a specific section. A worksheet is divided easily by drawing lines across it and writing go and stop within each section. Block out extraneous stimuli – If a student is easily distracted by visual stimuli on a full worksheet or page, a blank sheet of paper can be used to cover sections of the page not being worked on at the time. Also, line markers can be used to aid reading, and windows can be used to display individual math problems. Highlight essential information – If an adolescent can read a regular textbook but has difficulty finding the essential information, the teacher can mark this information with a highlight pen. Locate place in consumable material – In consumable materials in which students progress sequentially (such as workbooks), the student can make a diagonal cut across the lower right-hand corner of the pages as they are completed. With all the completed pages cut, the student and teacher can readily locate the next page that needs to be corrected or completed. Provide additional practice activities – Some materials do not provide enough practice activities for students with learning problems to acquire mastery on selected skills. Teachers then must supplement the material with practice activities. Recommended practice exercises include instructional games, peer teaching activities, self-correcting materials, computer software programs, and additional worksheets. Provide a glossary in content areas – At the secondary level, the specific language of the content areas requires careful reading. Students often benefit from a glossary of content-related terms. Give plenty of opportunities for overlearning, practice in meaningful contexts and revision. Allow time for discussion and reflection, not just todays lesson but the assignment being worked on. Plan ahead and be flexible in your deadlines, some dyslexic learners will go into melt down at the first mention of a time limit. Remember dyslexic learners are not incidental learners in your classroom. They must be directly taught (shown) everything. Lazy! They are doing their best. It takes a lot more energy for the dyslexic student to get through the day and do their work, more than it does the average student. Here at Chesterfield College we have many resources to aid dyslexic learners. On the computers we have a program called ‘My Study Bar’ which will enable you to overlay the screen with a tint to help with visual eye stress; this can be found on L drive. We also have Read & Wright Gold which reads the words out loud on the screen; although it is not an up to date version it will allow learners to hear what they have written back to themselves. In our Library and Learning centres we can provide independent study support for those learners who need that little extra outside of the classroom. We can look over their work; help them understand the question asked of them. It is important that dyslexic learners feel as though they are supported especially when their lecturer is not accessible, it may be worth bringing the leaner down yourself to meet with us in the learning centre so they feel more comfortable. In each of our centres we also have colour overlay rulers and A4 sheets for learners and staff when borrowing books or magazines; though these are only for one day use it can give you an insight as to what colours work for you, and maybe look into purchasing your own in the future. Also at Chesterfield College we have many subscriptions to magazines and different programs, my favourite being the Primal Online Learning; this is for anatomy and physiology, it takes you through the body systems with images, words and video, the best part is that you can go at your own pace. Another great tool we have at our disposal is ‘Click View’ we have at least the last four weeks of Freeview television on our database system, approx. 30 channels. We can edit them down to a clip, or just simply take out the ads; these videos can be a great tool to use in lessons to get information across the learners. You can search by subject/curriculum area and also see videos that other colleges have added. As staff you can access this from home and even edit the programs yourself; using the Online Click View service. You can access this on the staff intranet and put a request in (similarly students can access all of these resources from home). A colleague of mine came across this article about the mind-set of the learner and the educator, it questions the way we think when we are preparing to teach a lesson. For example are you thinking ‘well that learner is dyslexic they won’t be able to do that’ I would say how do you know? Maybe that right now they can’t, but with help and support they could learn. My point being, do not let the label of being dyslexic influence your opinion on their abilities now or in the future. These are some of the websites I use personally for information and to get new ideas on how to help dyslexic learners. Though a lot of information is referring to children, the teaching tips can be crossed over to F.E and adult education”. How many teachers does it take to change a lightbulb? None. Flipped learning means your classroom isn’t needed so we can all sit in the dark and save on electricity bills. Haha. Lightbulb jokes notwithstanding, there are 35 teaching weeks in our academic calendar at college, so I’d like to propose having a stash of 35 lightbulb-like ideas stashed in your idea sack to help keep you thinking about your teaching practice from a different perspective every one of those weeks. Also, if you’re doing a PGCE and you’ve been tasked with keeping a weekly teaching log, you might be wondering what to reflect on, how much should you write, in what style and with what purpose. In my last blog post (https://carolslearningcurve.wordpress.com/2015/06/10/mirror-mirror-hows-my-teaching-using-the-sparkes-raise-model-for-reflection/) I shared Sparkes’ RAISE Model for reflection on teaching practice. If this is used effectively then a topic for reflection each week should emerge from the reflection of the previous week. However, generating an initial topic based frame from which to consider your teaching might require a bit more creativity. If you are suffering from such a blank page scenario, this blog post if for you. I’ve simply scribbled down the first topics that came to mind and bunged them in a list of 35: one for each teaching week of the year. Idea 1: Is the layout of my classroom working well? Idea 2: Am I giving due thought to equality and diversity in my classes and lessons? Idea 3: How well do I know my students? Idea 4: What do my students really need? Idea 5: Are my students learning and how do I really know? Idea 6: Am I assessing student learning effectively and can I improve this? Idea 7: Are my lessons ‘engaging’? Idea 8: Do I differentiate? How and why? Idea 9: Do I stretch and challenge my students? Idea 10: How do I group my students for tasks? Idea 11: How do I support weaker students? Idea 12: Are “learning styles and preferences” relevant to my students? Idea 13: What extension activities do I have to keep students busy? Idea 14: Would my students benefit from homework: if so, how? Idea 15: How do I embed functional skills in my lessons? Idea 16: Am I helping quieter students to improve communication and confidence? Idea 17: How well do I manage behaviour in my classes? Idea 18: Have I got good rapport with students? Idea 19: Are my roles, responsibilities and boundaries in place? Idea 20: Have we addressed topics such as radicalisation/Prevent lately? Idea 21: What students might be vulnerable or ‘at risk’ in my class? Idea 22: Am I addressing the literacy agenda in my classes? Idea 23: What ICT/TEL tools and resources might improve delivery of my teaching and learning objectives? Idea 24: Is the seating plan in my lessons effective? Should it be tweaked? Or, live and let live? Idea 25: Can I do something to improve classroom displays and maybe even develop working walls? Idea 26: What are the basic resources needed for my classes? Idea 27: Can I help my students be more motivated? Idea 28: What am I doing to engage with others in the students’ lives? Do I need to? Idea 29: How can I help students focus for revision? Idea 30: How can I help students prepare for final exams?